Starting a pub or restaurant is definitely one of the most profitable businesses an entrepreneur can venture into. Depending on what type of pub or restaurant you establish, it will gain profits. But starting your own tasty food or awesome drinks business is not as easy as you think and takes into consideration numerous factors before it can be profitable. One of the things needed for a restaurant to achieve success is for the business owner, as well as the restaurant’s staff, to have an email signature. An email signature is very helpful for email transactions not only between company employees and management but also between company personnel and clients (customers, external stakeholders). To help you create an email signature, we have provided some examples that you will find useful in creating your own pub and restaurant email signature. A pub and restaurant email signature is quite different from other types of email signatures as it focuses mostly on food and drinks. But it is still an email signature nonetheless and should follow a number of rules or tips for it to be effective. Listed below are some important tips in creating a pub or restaurant email signature. No matter how many designs you incorporate in the simple email signature, it will never be the center of attraction of the email signature. When the dust is settled, an email signature is still a business tool and a business tool always provides necessary information as well as provide solutions to specific issues or problems. That is the reason why an email signature should comprise personal information for it to be effective. Take note that personal information does not pertain to passwords or pin numbers to any types of bank account or professional email addresses. The personal information being referred to here refers to your name, contact number, and position or designation in the restaurant (i.e., manager, cook, waiter or server, cashier, etc.). You may include the restaurant name and address but it is better if the address is omitted instead to leave space for other information to be included in the email signature. Additionally, there is no need to list down the email address as it will be very redundant since you are sending the email from your email address. An email signature also provides the opportunity for you to insert hyperlinks. These are basically links that allows users to be redirected to another website (in this case, the pub or restaurant’s website). Hyperlinks are effective marketing tools in the absence of traditional marketing tools such as posters and flyers. A pub or restaurant should have a single theme throughout its interior as well as exterior. This allows the food or drink business to have a single unifying theme so that it can create a distinct and unique identity for its customers. A restaurant having a diner-type theme should follow a typical diner setting as well as sell typical diner food such as bacon and eggs, pancakes, hamburgers, french fries, and ice cream. 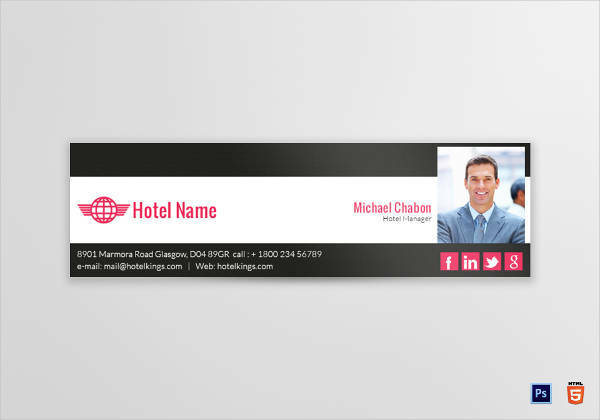 A unique identity should not only be applicable to the pub or restaurant’s interior and exterior designs but also for the professional email signature. Using an identical or similar theme for the email signature is beneficial for the pub or restaurant as clients will be able to identify the food or drink business immediately. This allows for smooth email conversations as well as assist in closing a deal faster since the theme of the restaurant is attached to the general email signature. The design of the email signature will solely depend on the design or theme of the pub or restaurant. If the restaurant is implementing a Mexican theme, then the email signature can use stock photos or designs relating to Mexican culture or cuisine (i.e., sombrero with mustache, chili, tacos, burritos, tequila, chihuahuas, etc.). Another example would implementing the same design for the simple email signature if you have established a Western or cowboy-style pub (i.e., designs focusing on cowboy attire and gear such as cowboy hats, plaid shirts, boots, horses, revolvers, shotguns, etc.). Color is also an important factor to any email signature, and the color should match with the design or theme used in the email signature. You can use contrasting colors or colors found in the same color scheme, but it is suggested to use contrasting colors as it adds to the visual aesthetics of the email signature. You may also like corporate email signature examples. Inserting a photo in the email signature adds to the legitimacy and professionalism of the email signature. There are numerous options on the photo you will be inserting in the email signature. But make sure the photo you will be using should be your face and no one else. The first option pertains to the standard formal company ID picture where you will be wearing a formal business attire (suit and tie, blazer, etc.) with the picture taken in a white background. The second option focuses on wearing an attire that is related to your line of work, in this case a restaurant attire, and the attire will depend on your position or designation in the restaurant (i.e., manager, cook or chef, waiter or server, etc.). You may also check out personal email signature examples. Affixing a digital signature is one way to add visual aesthetics to the email signature, aside from using different colors and designs/themes. You can use a digital signature software to create the signature or you can just affix your signature in a blank paper and scan it afterward. Although the latter is much more easier, the former creates a more clean and better-looking signature. You might be interested in company email signature examples. The placement of the signature depends on you, as you can insert it below your photo or beside it (where the personal information can be found). The last but probably the most important tip in creating a pub or restaurant email signature is to be creative. Compared to other types of formal email signatures, a pub or restaurant email signature can be implemented with numerous designs due to the relaxed, unique, and colorful feel of pubs and restaurants. Thus, creativity should be prioritized when creating an email signature. 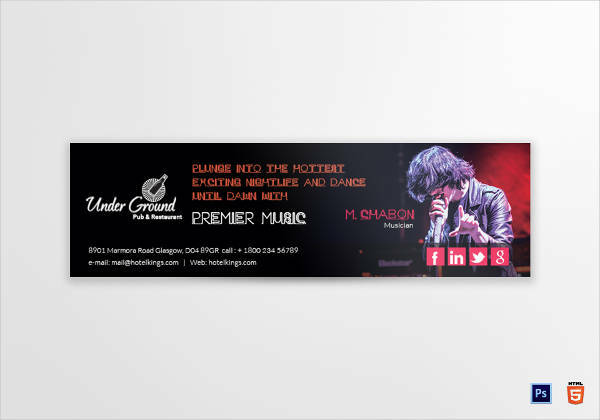 There is no limit on the designs you will be using for this type of general email signature. 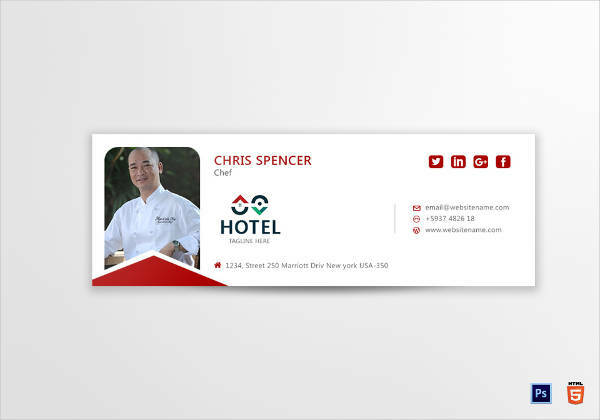 Let your creative juices flow and watch your email signature exude style and visual power which will not only be beneficial for you but for the restaurant in general. You have most likely laid out specific plans for your pub or restaurant business, but there might be things that you have forgotten which might eventually affect the operations of your future business. So we listed them below, the tips in establishing a pub or restaurant, to assist you in maximizing the marketability as well as profitability of your pub or restaurant. You may also see the dos and don’ts of a good email signature. A niche market is your main set of customers or the customers where you will be getting majority of your sales from. Basically, the niche market will be your sales or revenue generator. Without them, your products will rarely be sold and you will end up losing a significant amount of your investment and incur large financial losses. You may also like wedding planner email signature examples. In this case, find a niche market that customers will not only enjoy but become regular customers in your pub or restaurant. Take note that the niche market should be appropriate for your business. There is no point identifying teenagers as the niche market for a pub business as they are not even permitted by law to drink. Additionally, identifying senior citizens as the target market for a restaurant mostly serving hard and crispy food is a recipe for failure. You may also check out sales email signature designs & examples. Identifying the best-selling food or drink for your business may be difficult at first especially if you haven’t started operations yet. But identifying them beforehand helps your business long term as you will be focusing on creating the most presentable as well as salable products before they will be sold to customers. You might be interested in teacher email signature designs & examples. Additionally, resources will be pulled toward creating and continuously improving the product (in this case, perfecting the recipes for the dishes or creating the right combination for the drinks). Take note that the best-selling food or drink should also be in line with the theme of your pub or restaurant. You cannot sell sushi if you plan on establishing an Indian restaurant, or sell five-course meals even if you only plan on starting a fast food restaurant. The importance of marketing cannot be understated for any type of business, whether for a small business or for a large corporation. Marketing does not only involve advertising and promotion, but with the overall creation and distribution of the product or service. Marketing initially identifies the strategies and analyzes how the product will be beneficial for customers as well as different types of market segments. You may also see tech startup email signature designs & examples. Marketing is also involved with the raw materials being purchased as well as the partnerships formed with suppliers and other business partners. Eventually, marketing will be heavily involved with advertising and promotion, utilizing different forms of traditional and digital forms of advertising tools. You may also like marketing manager email signature designs & examples. 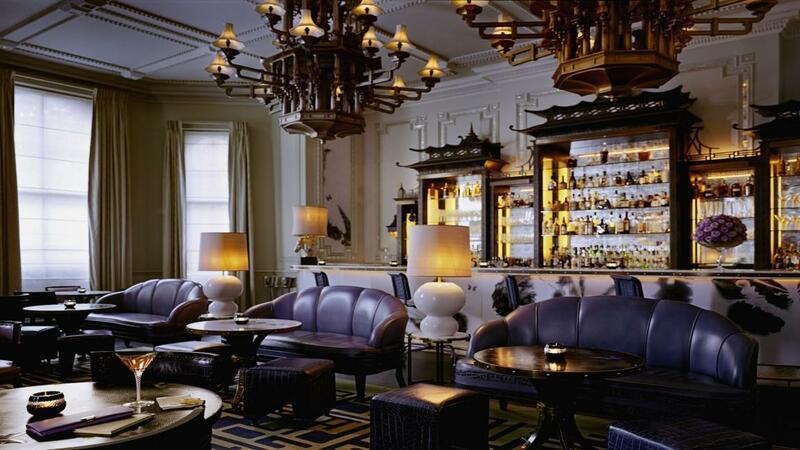 The Artesian is probably the most popular bar in the world, having been on the receiving end of numerous recognition as well as awards. The drinks here are expensive to say the least, but you won’t be coming here if you’re not ready to splurge. They have a variety of drinks, but the Camouflage is probably the best, a drink served in a giant, golden pineapple glass topped with smoking potpourri. You may also see education email signature designs & examples. Famous restaurateur Wolfgang Puck owns this famous restaurant at the top of Beverly Hills. Spago specializes in Mediterranean and Californian fusion dishes, as well as wood-fired pizzas. Located at New York City’s financial district, the Dead Rabbit Grocery & Grog boasts a cocktail menu which is organized by the four seasons. Did you know that some scenes of the Oscar-winning Gangs of New York were filmed in this bar? You may also see beauty parlor email signature designs & examples. This small three-star Michelin restaurant does not allow walk-in customers and reservations usually are booked two to three months before. 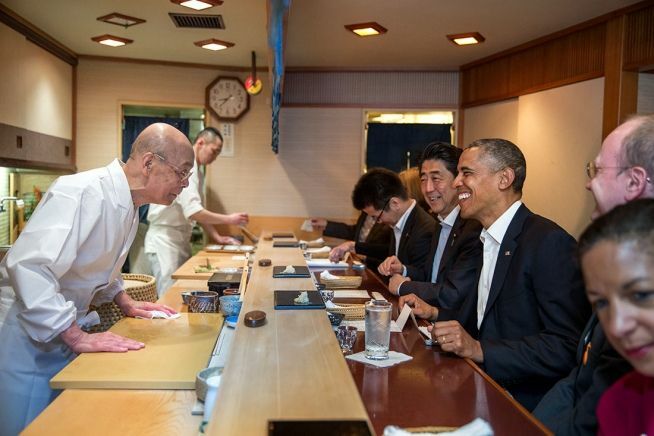 The restaurant’s owner Jiro Ono personally makes the sushi in front of his guests, making the guests’ trip to the restaurant not only a gastronomic experience but also provides guests with an insight of Japan’s rich history and culture. You may also check out training email signature designs & examples. The Baxter Inn in Sydney has over a hundred whiskeys to choose from. To get there, you’ll have to walk through dimly light service alley where a red rope line is your only clue to get to the bar. But don’t worry, long queues await you when you arrive and they all line up for the same reason—entry to the Baxter Inn. You might be interested in content writer email signature designs & examples. Also a restaurant that requires a three-month grace period for reservations, Enigma is Spain’s most popular (and most expensive) restaurant. The restaurant sprawls a massive 7,500-square foot space and its equally lengthy menu focuses on dishes that are reimagined through spheres, foams, and dust.You may also see business email signature examples. The Fat Duck is another three-star Michelin restaurant in this list and is a recipient of numerous “best restaurant in the world” awards. 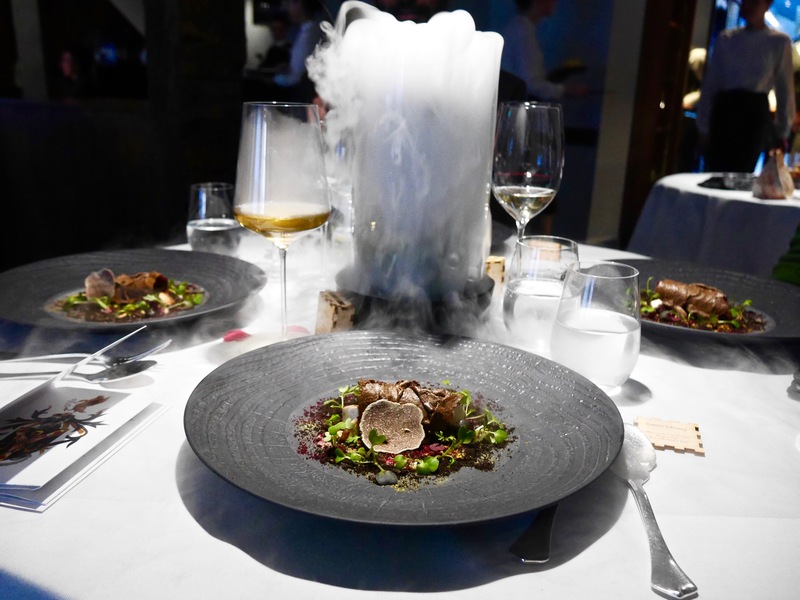 The restaurant also boasts a 14-course meal which includes an interesting yet very delicious bacon ice cream made with liquid nitrogen. You may also like business manager email signature designs & examples. We hope you found this article to be informative as well as helpful when you will be creating your own pub and restaurant email signature. We also included some tips (and important reminders) on how to create an email signature as well as tips on establishing a pub or restaurant.